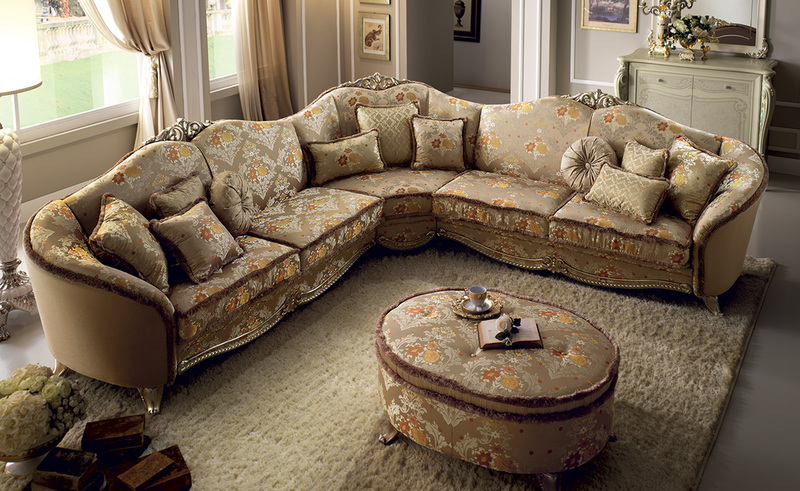 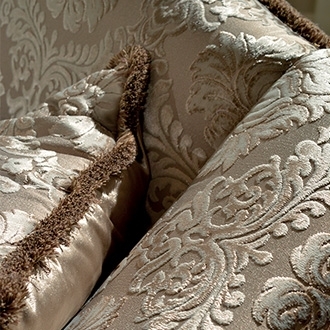 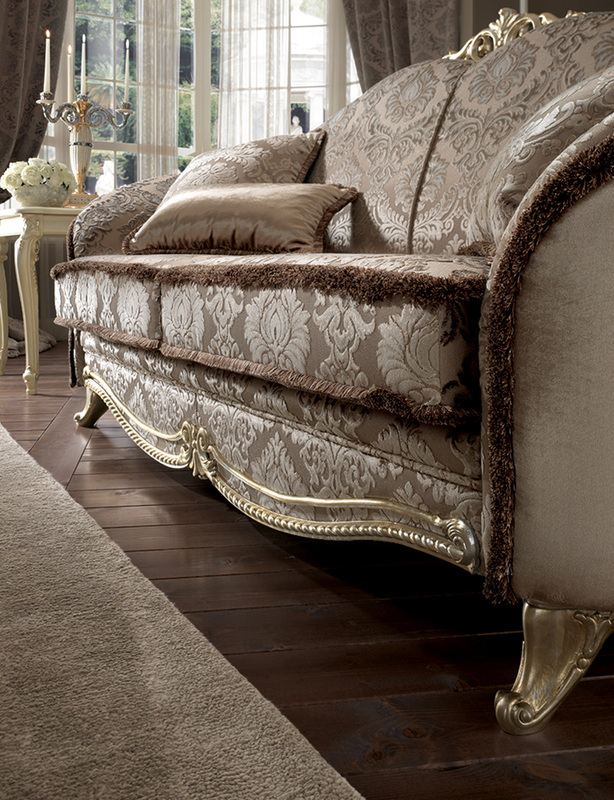 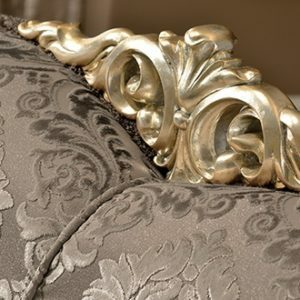 Fantasy is rivalled by skill in the living room design from the Tiziano collection. 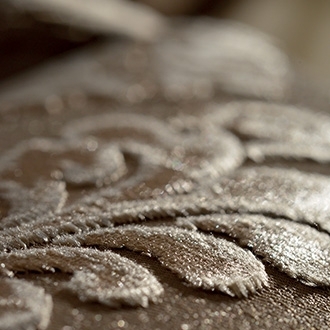 An enchanted place where warm white finishes enhance the glow of the silver decorations of the wall accessories and the Damask fabrics of the sofas. 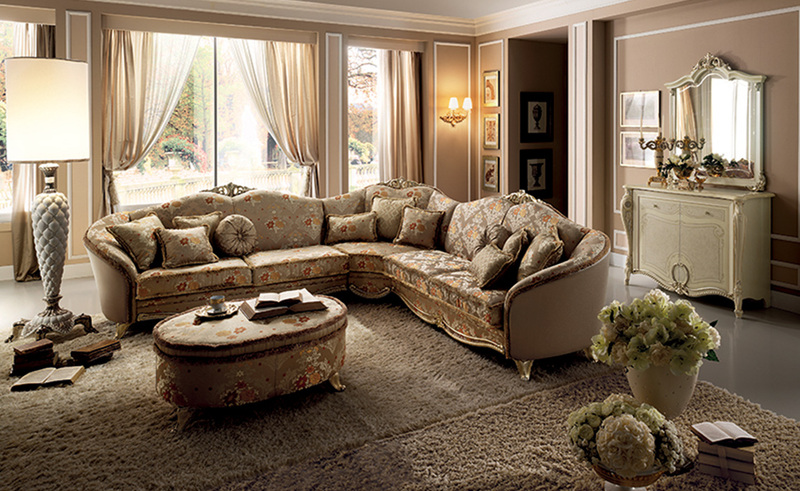 An ambience reminiscent of evocative scenery full of charm and which never ages like a dream itself. 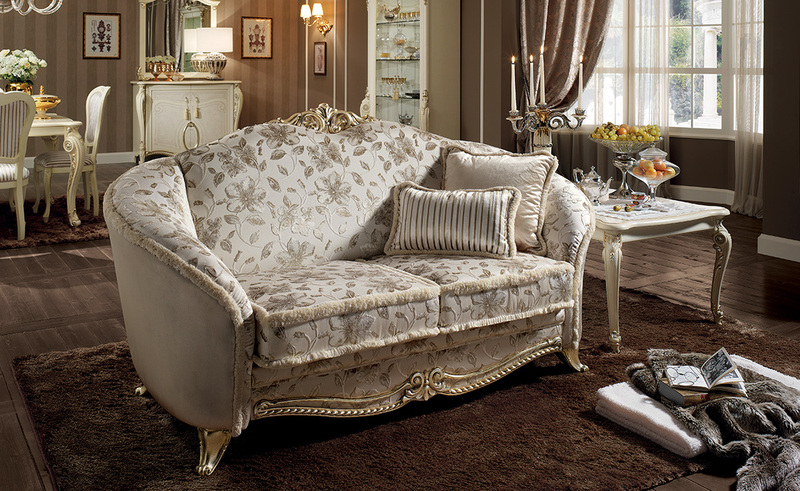 Venere Chaise Longue Dining Room "Tiziano"
Vittoria Chaise Longue Dining Room "Tiziano"